Paradis is handcrafted ice cream made fresh every day from fresh milk, fresh fruit, and only the finest ingredients in the world. Our ice cream is made fresh daily and served by ice cream lovers for ice cream lovers. 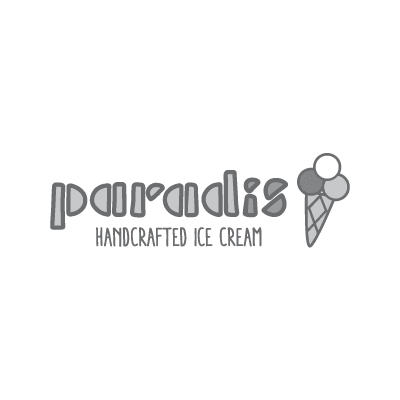 Paradis offers over 100 handcrafted ice cream and sorbet flavors made from scratch in a cup or a cone, milkshakes, frappes, sundaes, and to go containers, called "love boxes." We use fresh milk in our ice cream and pure water in our sorbets. Paradis ice cream and sorbets are relatively low in fat and calories while remaining flavorful and rich. In fact, a typical scoop of our sorbet is only 75-125 calories, and a typical scoop of our ice cream has only 150-200 calories!